Samantha Duncan was born in Phoenix and grew up in Tucson. She played four years of volleyball at Sahuaro High School as well as four years for Zona as a setter. Samantha graduated in 2015 from Seton Hall University in New Jersey with a degree in Elementary/Special Education and a degree in Sociology. While attending Seton Hall, she played 4 years on the women's volleyball team as a setter and defensive specialist. Her team made it to the Big East Tournament 3 out of the 4 years, finishing second her senior season (2014). During the 2014 season, the team played in the NCAA tournament, which was the first time Seton Hall qualified in 14 years. 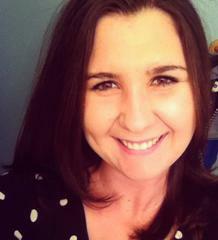 Samantha is currently a 5th grade teacher at Ocotillo Ridge Elementary School in Vail. She has been coaching with Zona since the 2016 season.